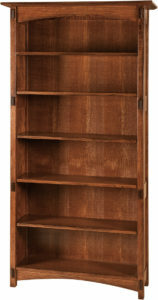 The classic Springhill Office Collection is masterfully crafted with storage needs in mind. You’ll be fascinated with the robust feel and functionality of this remarkable collection. 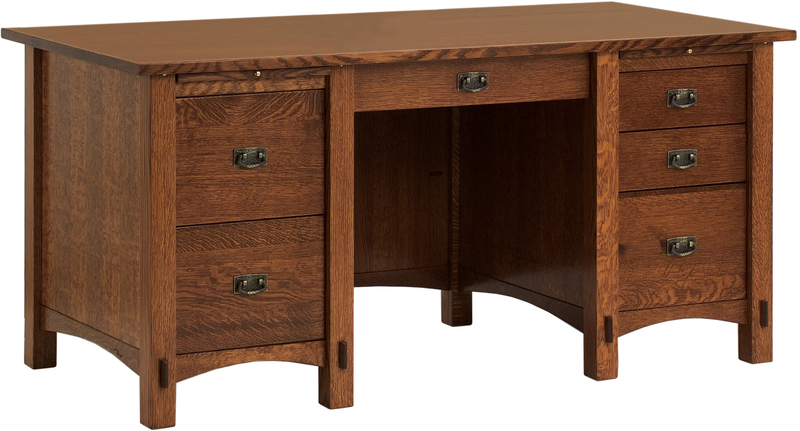 The amish handcrafted desks are made with 1 inch solid tops, exposed tenons on the legs, fully finished back and the desk is accented with hammered antigue Stikely-style pulls. 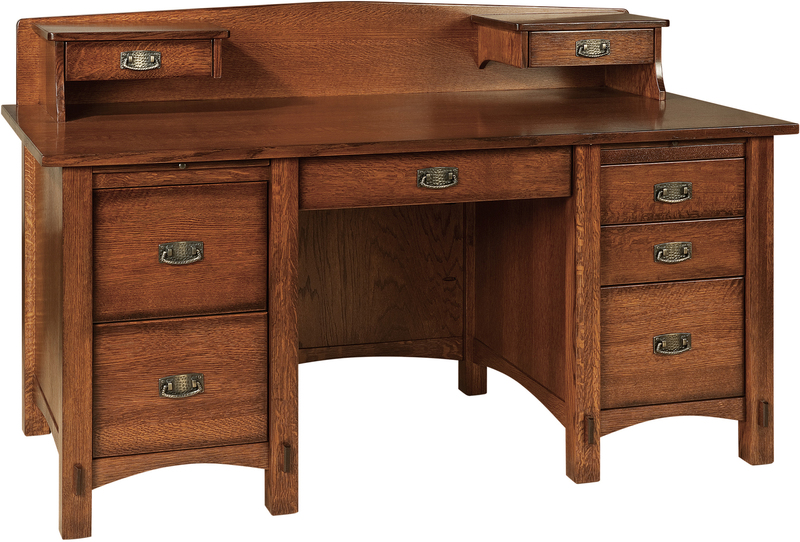 The Springhill Office Collection features solid wood doors, dovetailed maple drawers, file drawers and either a pullout drawer for your keyboard or a pencil drawer. 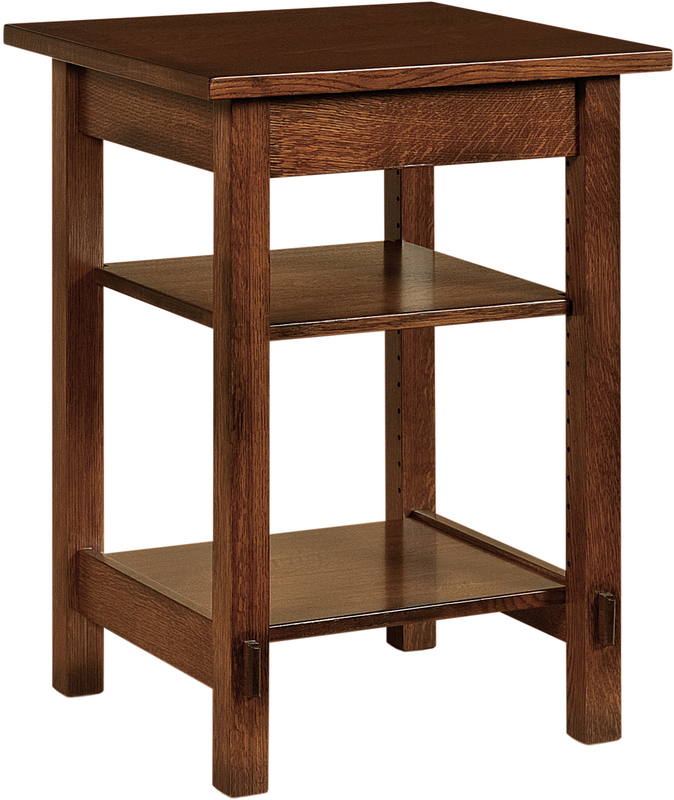 The Springhill Printer Stand and Return table are handcrafted with 1 inch solid tops with solid wood shelving underneath for additional storage for your office decor. The Springhill File Cabinet is handcrafted with 1 inch solid top and fully finished back. 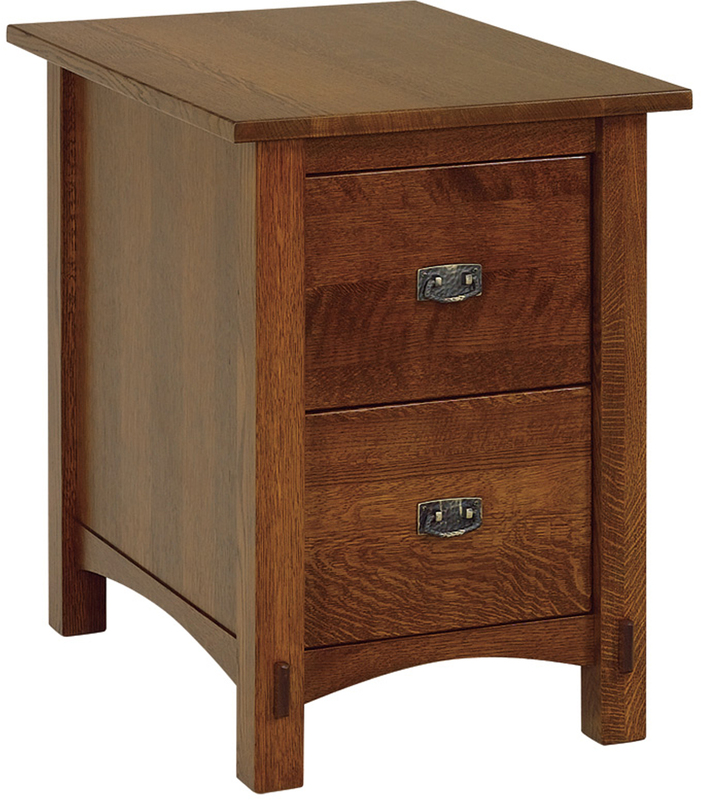 The file cabinet has two file drawers with ball-bearing full extension slides. 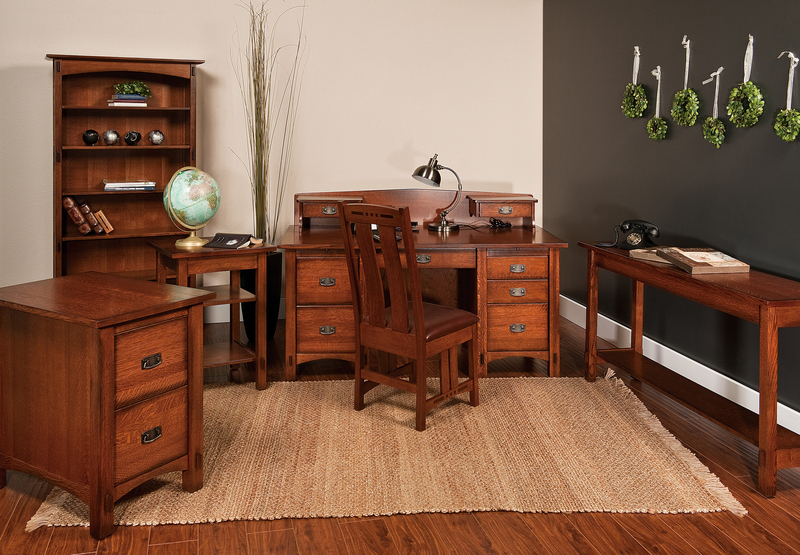 With the straight lines and a vintage look of this classic styled furniture, the Springhill Office Collection is sure to enhance any home Office’s beauty. 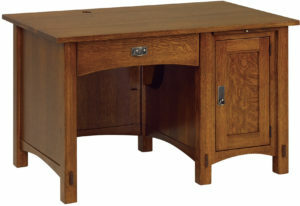 The collection includes computer desk (option with a topper), pencil desk (option with a topper), file cabinet, printer stand, return table, and bookcases (availabe in 36″, 48″, 60″, or 72″ height) to fit your home office needs. 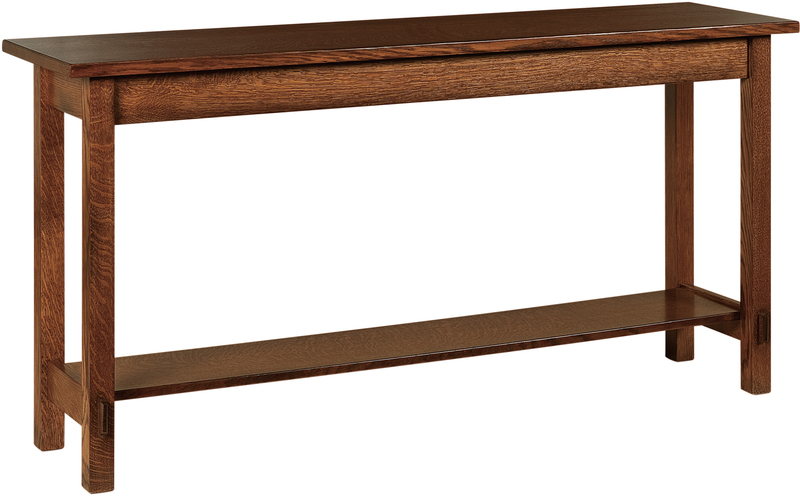 The Springhill Office Collection is customizable and is currently shown in quater-sawn white oak with Michael’s Cherry stain and #3 hardware.